Mild and Wet Weather Continues in North...Posted by Arpit. North India is again enjoying mild and wet weather from the past 3-4 days. Strong western Disturbances brought good thunderstorm/duststorm in the whole region. Northern plains are daily getting thunderstorms along with strong winds with gusts upto 120 km/hr. Hilly regions are getting light to moderate rainfall starting from 10 May onwards. However isolated activity prevailed in the region earlier too. New Delhi had already completed its rainfall quota for the month of May by getting above 22 mm till today evening. 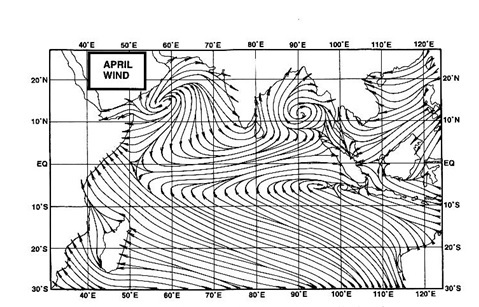 Last week on Thursday,Delhi Safdarjung had recorded a maximum wind speed of 100 km/hr with 5.6 mm of rain. Also on Sunday the same station measured a maximum wind speed of 48 km/hr with 0.4 mm of rain. Other nearby cities like Gurgaon, Greater Noida also received quite a good amount of rainfall this week. Scattered rainfall along with strong winds lashed parts of Punjab & Haryana also. Both states are having below normal temperatures due tot the ongoing activity. West UP is also on the same track with scattered rainfall in the parts of the state. Rajasthan had very good rainfall till now and more expected in the coming days. Purely North India is having active duststorm season after 3-4 years. Due to this active season, day temperatures are much lower in parts of the region. Also many places had already completed their rainfall quota for the month of May. The ongoing activity may give more rain in the region in the coming days too. M-3 is an upper level trough, and has an extended trough into the Pak Punjab region:...the Peninsula LWD is weak, and the trough runs NW/SW axis from Chatisgarh...Induced Low in trough wit M-3 moves NE...before M-4 moves in ! New Delhi was also better at 35c on Monday, with winds bringing down the temperatures to 25c by early night time. Tuesday 13th : Snow in Upper reaches of Kashmir. Rains in Northern Pakistan, Pak Punjab, And on the Indian side of Punjab, Haryana, Deli NCR, HP and Western Uttarakhand. Northern Rajasthan will get showers. Heavy falls in : Regions of Islamabad, Upper Punjab including Multan and Faisalabad. Isolated heavy falls in Indian Punjab and Northern Rajasthan. ( Jaipur/Ajmer regions). Some showers in Kerala and adjoining Interior TN..Heavier falls in Nilgiri regions and Bangalore vicinity. Light rains in Pak Punjab and parts of Central and Upper Sindh. In India, we see rains in Kashmir and HP. Some medium to heavy falls around Delhi NCR in some parts, and in adjining Northern Rajasthan. Parts of Central Interior Saurashtra may receive isolated thunder showers. Rains in the South move intoInterior TN..with some heavy fallls in the Nilgiri Mountains. Thursday 15th, as M-3 moves away, we see a decrease in Rains in Northern parts of Pakistan and India. But some showers continue in Balochistan and adjoining Central parts of Sindh. Meanwhile, all 3 days we see good rains pouring in the NE states. Sir, when this WD series will end and we can expect proper may heat? Can this affect heat low ? sir,is there any possibility of rain in gujrat this week ?sir, monsoon in andaman and nicobar is on time , imd is saying monsoon may reach kerela on 1 st of june but after going inland it may be delayed.will it happen? hi sir will elnino affect the monsoon in kerala idukki dist this yr? if so which month will be the affected one?